My blog has been silent and yet I have so much to share! My blog has been pretty quiet lately. It’s not that I have nothing to share. Quite the opposite in fact! I’ve been busy. Very busy! Running your own social media content plan for your own business takes time! Most weekends and weekday evenings, I’m sitting down writing posts and creating content. The Instagram account is live (go check it out!) but we’re reluctant to get going on Facebook until our website is ready & people can purchase stock. Want to help me? If you do wear CW-X and have any photos showing the running kit, please can you share those with me. I’d much rather show real athletes (that’s you!) than posed models in the kit. Like almost 90% of Jo’burgers, I got bronchitis and was out of action. It took forever to heal, two visits to the Doc, daily nebulizing, lots of sleep (read: Allergex). Then out of the blue, I get shingles. On my face! WTH? 3 weeks of misery has taught me two lessons. One: listen to my body. Read bullet point number one. It’s been a stressful time! Lesson number two: when you can’t run, your body had no way of de-stressing. You get even more niggly. 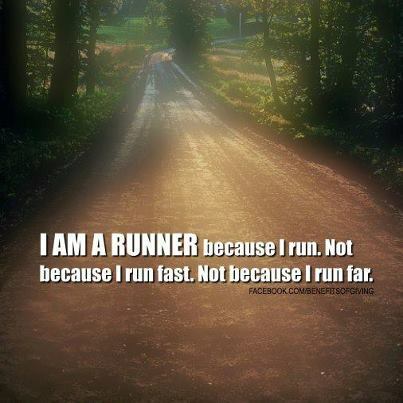 I acknowledge the huge role running does play in my life & will try not complain about my running again. I have been on a mission to help an after care centre in Kliptown called Izanokhanyo Community Based Project get SnapScan so that donations can be easier as well as kickstart their social media so that we can start telling their story. Let me tell you, it’s made me incredibly happy inside to help. It’s early days but here’s holding thumbs I can help make a difference! I’d love your help! I’ll let you know how soon! Helen, who runs Izanokhanyo without a salary, handing out sweet to the kids. I’ve been successful in my application to be part of a pilot project kicking off at work. All new. Unknown. Virgin territory. Exciting as hell but I’m also nervous. But after climbing in & assisting with some of the project management for the last couple of weeks, I’ve proven to myself that I am capable of learning & trying something new. Doing this nowadays at work needs to be the norm. My Dad’s partner Rina passed away too. It’s funny how you think you have time and you discuss illness and old age and plans on what to do if this happens and if that happens. But when things do happen, no one is quite prepared. Everyone grieves differently. Each person says goodbye in their own way. I’m glad we’re spending more time with my Dad. I wish my parents stayed closer. Everything I’ve mentioned above happens for a reason and at the right time. The delays in getting our business up and running gave me more time to spend with my Dad. Getting sick slowed me down and forced me to rest and take stock of what mattered. What mattered was helping Izanokhanyo in my spare time and not using that time for reading work emails. And yet I was rewarded by getting the job at work. I’m going to make more time to blog too. This one was long. If you made it to here, the key take out is that I’m fine, I’m excited and yes… I’m still running! We’ve got Run-The-Berg (or in my case with limited training Walk-The-Berg) coming up, Kaapsehoop and Otter. Can’t wait for that purple carpet to line the streets! By the way, the jacarandas are starting to bloom. It’s the most beautiful time to be outdoors! 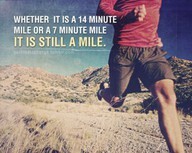 Go for that run!